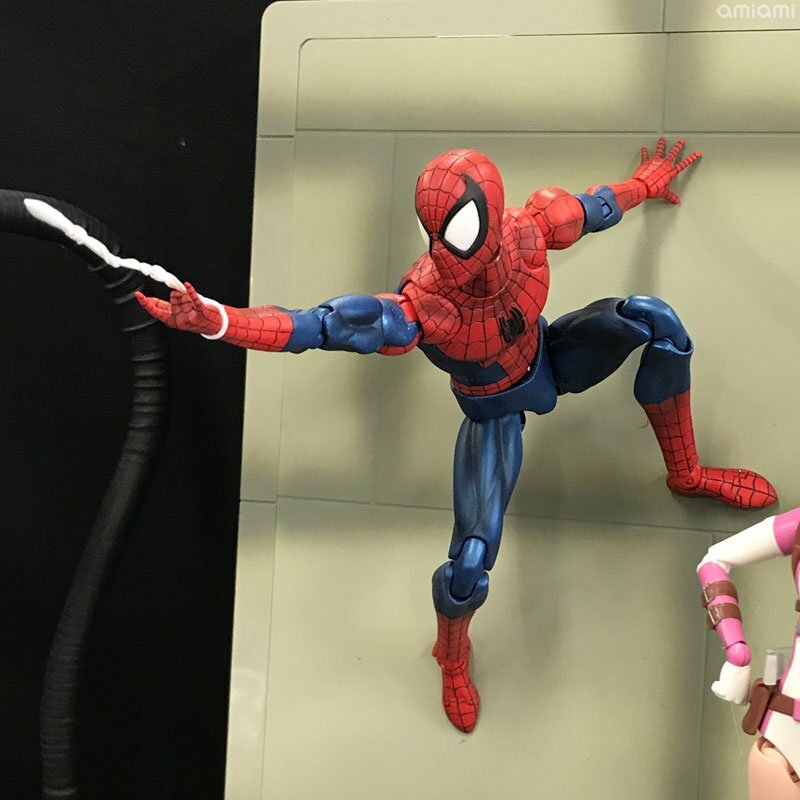 At the Spring 2018 Miyazawa Model Exhibition, a new Marvel Comics MAFEX figure was revealed. 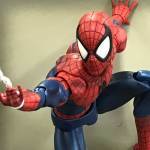 Medicom had a MAFEX Spider-Man based on his Marvel Comics appearance on display. It reminds me a bit of the Erik Larsen Spider-Man art (or even the Todd McFarlane run), but there’s no confirmation on which version the figure is based on. The figure will at least include a webbing effects piece, and will likely include alternate swap out hands as well. The images come courtesy of Amiami Hobby News. We’ll update with official details once they are released. You can see the photos after the jump. Boy oh boy. Buying 10(not exaggerating) of these because I'm a sick minded person. Mixture of Scott Campbell and Mcfarlane...best Spidey head sculpt and eyes. To go along with my other 100 Spidey s....but this might be king�� of them all. I have to agree. Blue trunks Spidey and the elongated eyes was one of the better suit designs. My only wish would be for a painted web effects piece at the wrist segment so it looks more like the shooter is creating the effect. Still, Mafex does good joint work, so that's exciting. I agree, I see Larsen. Lookin good! This looks like a solid buy for me. Finally, that's the Spidey I grew up with, I need this. Ha now I’m hoping they do make a Deadpool because I never opened my Revoltech one due to not having an allocated shelf for new Marvel figures; and now I’m much less impressed with his design. 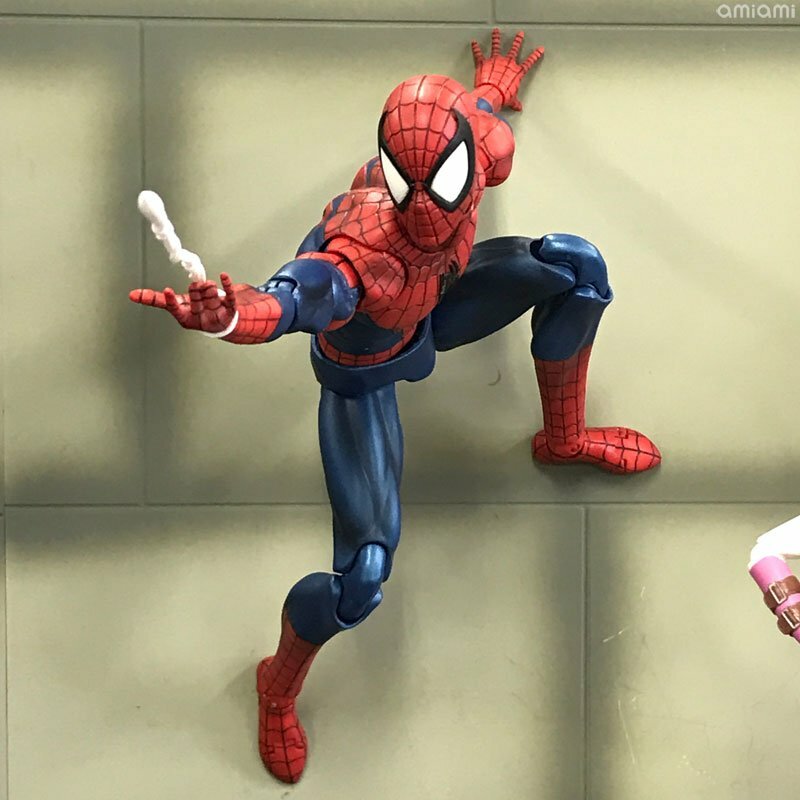 This new Spidey is looking like Marvel Legends done right with great paint, proportions and well integrated articulation that doesn’t chop the figure up in ridiculously obtrusive areas. The only thing that could be improved is how the webbing accessory attaches. This is the spidey i grew up with...so yeah this might be the 1st mafex figure im going to buy..can not understand why mezco did not do this hs variant. Also i do not like how webs look around the wrists. This will scale with Legends, right? If so then I guess I'm in it to win it with this one. Perfect head sculpt. I hope the rest of the figure looks as good! need more pics but it seems like a buy from me. is this 'amazing friends' spidey? I was gonna laugh at your ignorance, but it actually could pass for cartoon Spidey. It�s straight up 90s style tho. Amazing Friends Spidey is the Romita Spidey. I don't remember even the mid 90s cartoon having the big McFarlane eyes but maybe he did. 90�s Spidey had slightly larger eyes than Romita, but had the body of Andre the Giant. The only animated Spidey to come anywhere near this is the MTV miniseries. Regardless, this looks FANFREAKIN�TASTIC! 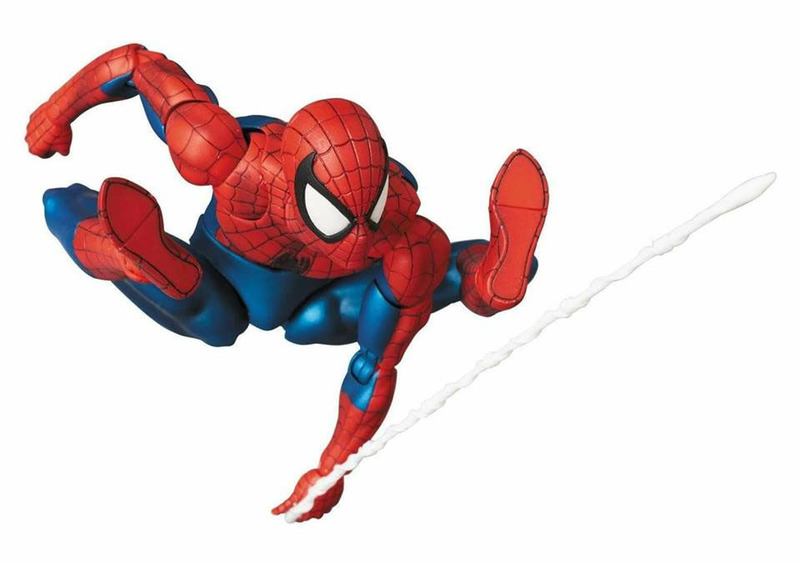 I thought I was done with Spiderman figures with Pizza-Parker, but this looks so amazing that I think Pizza-Parker will go to my neice�s collection. Amazing Friends had the thick black outline eyes, but he didn�t have that upturned curl in the corners. Not sure about the 90s cartoon but I think you�re right. When I said it was passable, I really meant I could see why someone might think that. Someone finally did it. This is the Spider-Man figure I've been waiting to buy for 20 years. This seems like it's close to perfect. Damn awesome figure AND no one is complaining about MAFEX quality? Spidey really brings out the best in people! This figure is downright perfect. Oh my!!! Hands and Feet with magnets on them, I'm speechless. Plus a whole slew of web effects. Count me in. Yep. That's a buy so long as it's not out of scale with Legends. Absolutely fantastic. Wow this looks amazing! This is gonna be an instant sellout I'm sure of it. Oh and let me be the first on this here site to say how much this figure craps loads on the Revoltech.